Please, see the picture attached. 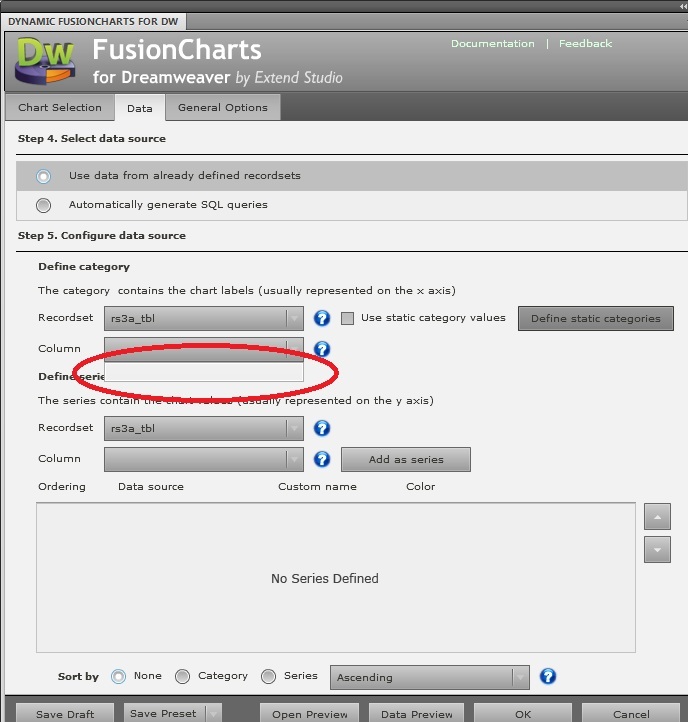 FusionCharts does not recognize any columns from the recordset and therefore I cannot create a dynamic chart. I am using the extension in an asp page. I have just sent the email.